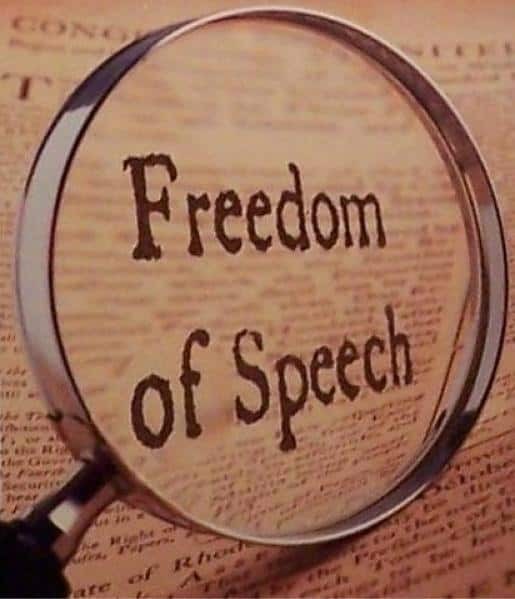 Freedom of speech is a constitutional right. US Congresswoman Ilhan Omar stirred excitement on social media and with news outlets in February when she commented on one of the most powerful US lobbying groups, American Israel Public Affairs Committee, AIPAC. Congresswoman Omar was not alone in the spotlight, several Democratic party members aligned with the lobbying group were exposed when they attacked Omar in defense of AIPAC. As evidenced by all the Twitter hashtags, news feed links and YouTube commentaries, the core issue behind all the excitement is Boycott, Divestment and Sanctions, BDS, and the repression of free speech. BDS is a movement for the boycott of Israeli policies. As written by Al Jazeera in 2013 “the movement’s main example and source of inspiration is the international boycott of South Africa by anti-apartheid activists.” And according to Charles Tripp author of The Power and the People: Paths of Resistance in the Middle East, along with other pundits, BDS is a global campaign. BDS has gained traction in America. Especially on university and college campuses, amongst human rights advocacy groups, and in the business sector. BDS also has Congressional support. At the same time, BDS faces Congressional opposition. Congressional opponents of BDS, including clandestine individuals and organizations supporting the occupation of Palestine, backed a piece of legislation passed in the US Senate in January, S.1 – Strengthening America’s Security in the Middle East Act of 2019, referred to as S.1. In Title 4 of the bill Combating BDS Act of 2019, state and local governments are allowed to direct its spending and approvals of entities through the use of loyalty oaths that limit the scope of boycotts to influence Israel’s policies. S.1 can be applied to both individuals working as independent contractors and businesses. At least four states have included loyalty oaths banning BDS activity as part of contractual agreements. According to the Intercept, twenty-six states across the country have adopted some form of anti-boycott law. If the Mississippi state senate passes its pending anti-BDS law, then it will become the twenty-seventh state. Critics of S.1 argue that the law is an unconstitutional infringement on the freedom of speech. The Intercept noted the required oath was the only one in Amawi’s contract that pertained to political opinions and activism. The First Amendment to the US Constitution states “Congress shall make no law … abridging the freedom of speech, or of the press…”. Cornell Law School Legal Information Institute simply says “It guarantees freedom of expression by prohibiting Congress from restricting the press or the rights of individuals to speak freely.” Use of loyalty oaths to hold individuals, businesses or the press captive to a specific political viewpoint, such as in the case of BDS bans, is a form of repression of free speech. Three states Arkansas, Arizona and Kansas, with anti BDS laws, have been or are involved in lawsuits challenging the ban that has been used against Americans. In Arkansas, the Arkansas Times, a local newspaper, was required to sign a contract that included an oath stating that it would not engage in a boycott of Israel if it wanted to continue to receive advertising contracts from the University of Arkansas Board of Trustees on behalf of University of Arkansas-Pulaski Technical College. “This law imposes an unconstitutional tax on free speech,” said Rita Sklar, ACLU of Arkansas executive director. The Times declined signature and the University has refused to advertise with them. According to Electronic Intifada, Arizona’s law required state officials to produce a blacklist of companies, organizations and other entities that are banned from state contracts because of their alleged support for boycotting Israel. Kansas has also required that any person or company that contracts with the state submit a written certification that they are “not currently engaged in a boycott of Israel.” According to the ACLU. Kansas and Arizona BDS bans have been federally blocked as violating the First Amendment to free speech and the right to participate in political boycotts. Another issue with S.1 Title 4, is the constitutional doctrine of Preemption, which holds that when state and federal laws conflict, federal takes precedence.